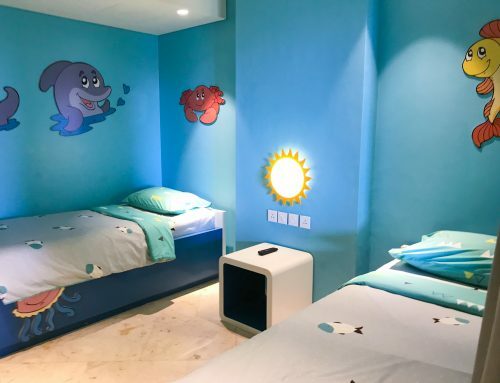 IS HOTEL INDIGO, SEMINYAK BEACH BALI FAMILY FRIENDLY? I have to be honest, I hadn’t heard of Hotel Indigo until a fellow blogger did a review of the Singapore branch. 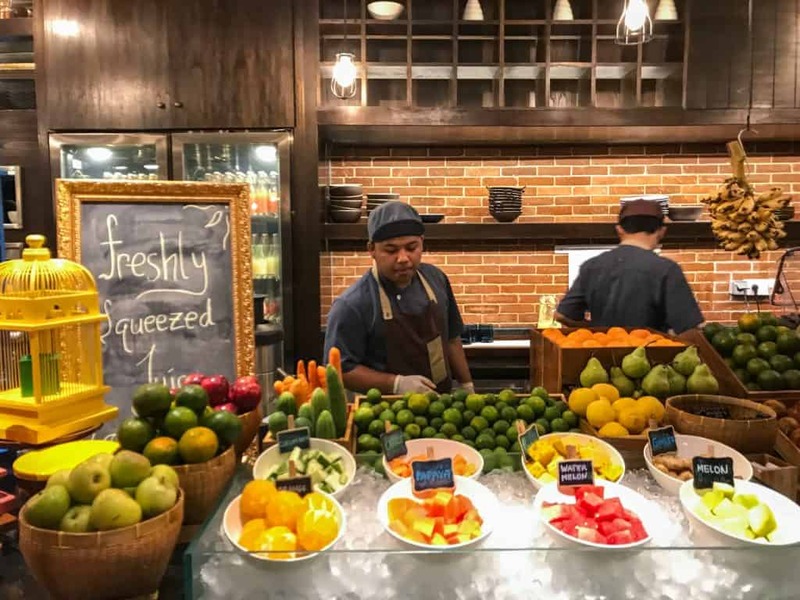 Recently opened in Bali’s popular Seminyak neighbourhood, I was really keen to visit. 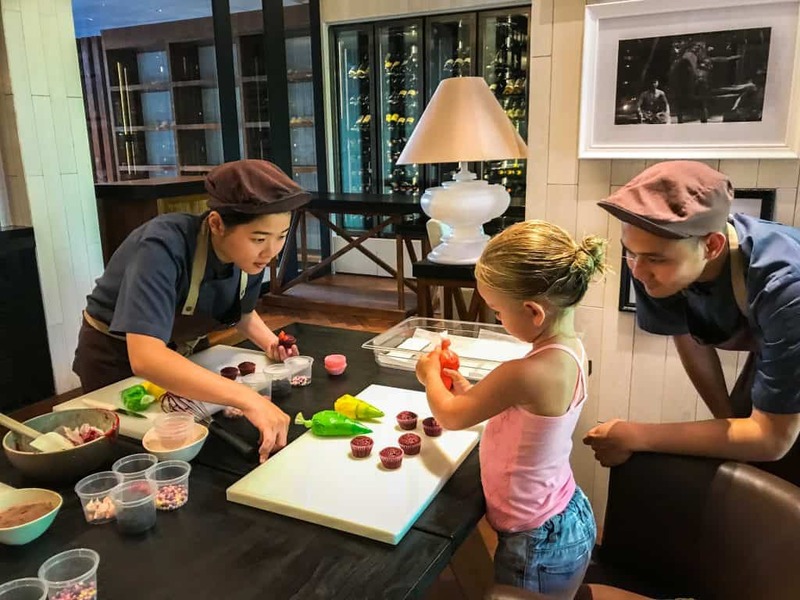 There are only a handful of hotels that manage to combine luxury and family-friendliness, not to mention embrace and integrate local culture. The entire ethos of Hotel Indigo is to hone local culture, design and traditions within their hotel. 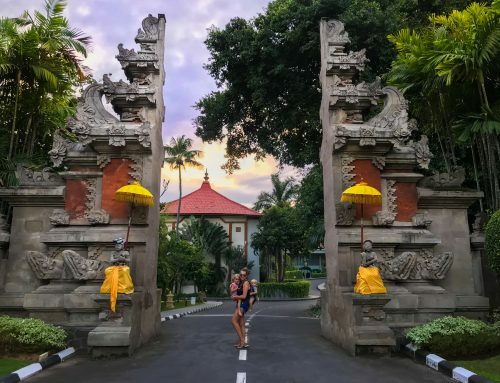 From the hundreds of traditional and locally made lampshades hanging in the foyer, to the Balinese activities for children, everything encompasses Bali in an eclectic and well thought out design at Hotel indigo Bali. We visited for three nights at the beginning of May with our two children. 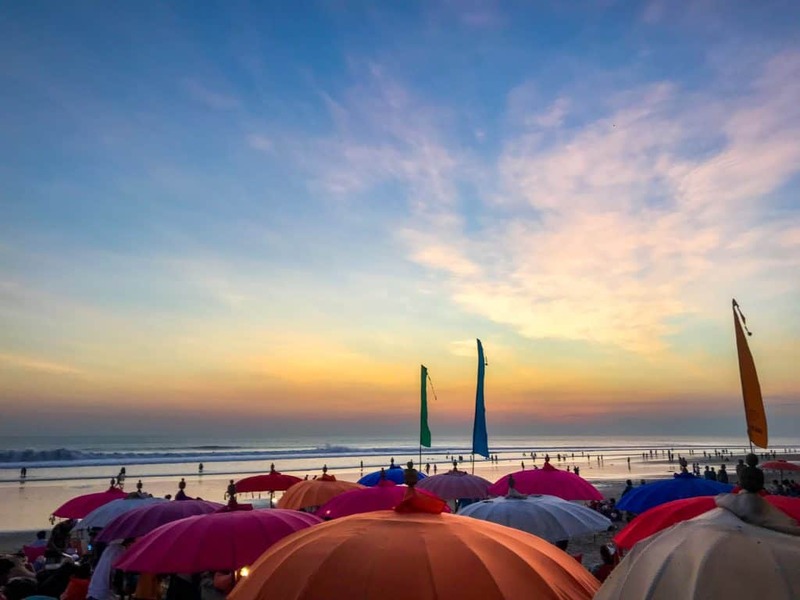 Based on Seminyak’s, Double Beach, there are some stunning views of the ocean, especially in the evening at sunset. We had a fabulous relaxed three days and there was plenty for our kids to do. Its always so nice when there is plenty to keep them entertained. Here is our review of Hotel Indigo Seminyak. 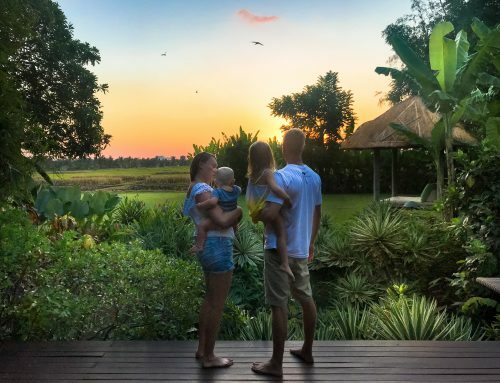 Read more about our adventures in Our Ultimate Guide to Bali with Kids! We loved the weekly time table filled with activities throughout the day for our kids. 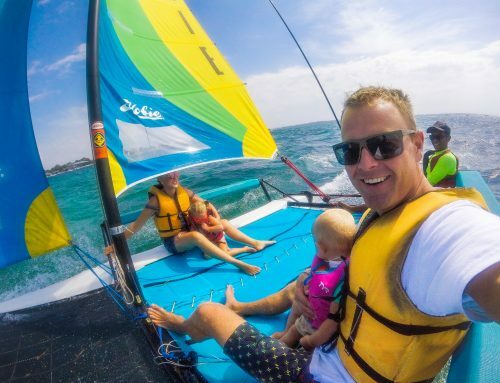 From kite running, to feeding sharks and cooking classes, there was so much to do. Esme attended two classes during our stay. Egg paining and cooking classes. 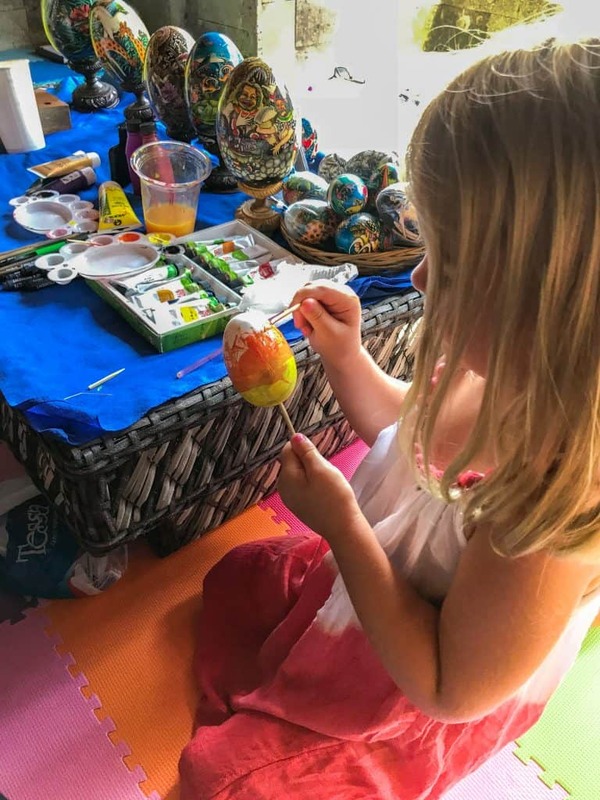 My husband took her to the egg painting and I have to admit, he was having as much fun as her. The staff member holding the workshop is obviously very artistic and talented. 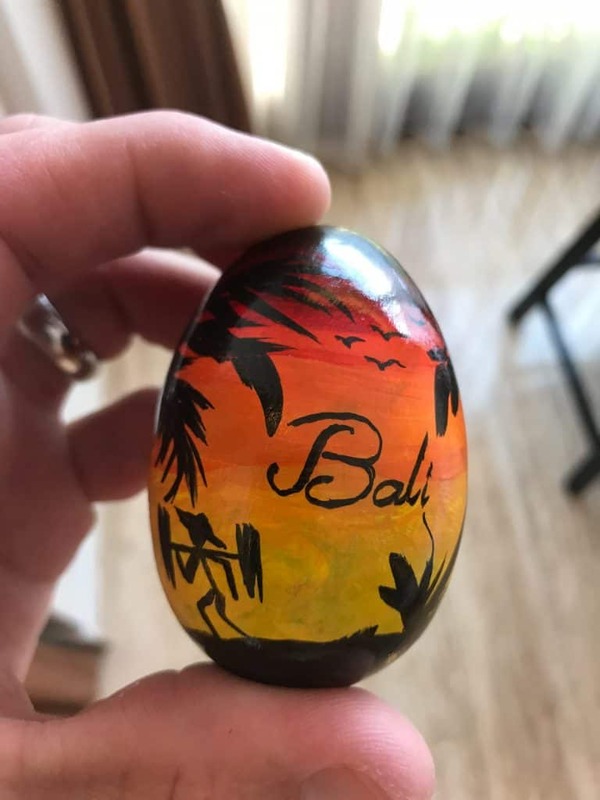 He said it sometimes takes a week to paint an egg. His are obviously very detailed and we saw many of them integrated around the hotel. The egg shape is made of wood, so it’s not a real egg. We were blown away by how much skills the artist was able to impart. He did a really good job of teaching, and we came away with a keep sake that will definitely be on show when we are home. It got a bit tricky towards the end, so our 3yo lost interest and played with the toys instead. My husband was more than happy to take over. We loved the fact that this activity is a local tradition known, as Lukisan Telor. Esme also attended a cooking class. They have a couple of lessons throughout the week for little ones. It was held in the main restaurant along with two of the resident chefs. We have been to a few cooking classes in other hotels, and I have to admit this was definitely one of the better ones. Usually hotels give kids pre-made cupcakes to decorate. However at Hotel Indigo Bali, they let her make everything from scratch. She mixed all of the ingredients with a little guidance from the staff. Tipped it into the cupcake cases and popped it in the oven. Afterwards they provided some icing and decoration. They showed her how to pipe and gave her some idea for her cupcake theme. Afterwards, we packed them up in a box to take away. She was really chuffed with herself. The cake was red velvet and it was really tasty. We all helped to eat them so the toddler didn’t have ten in one sitting! Luckily we had some friends around to share with! The Indigo Cave was the onsite kids club. It was very cave like, built into the wall with amazing hanging plants for shade. 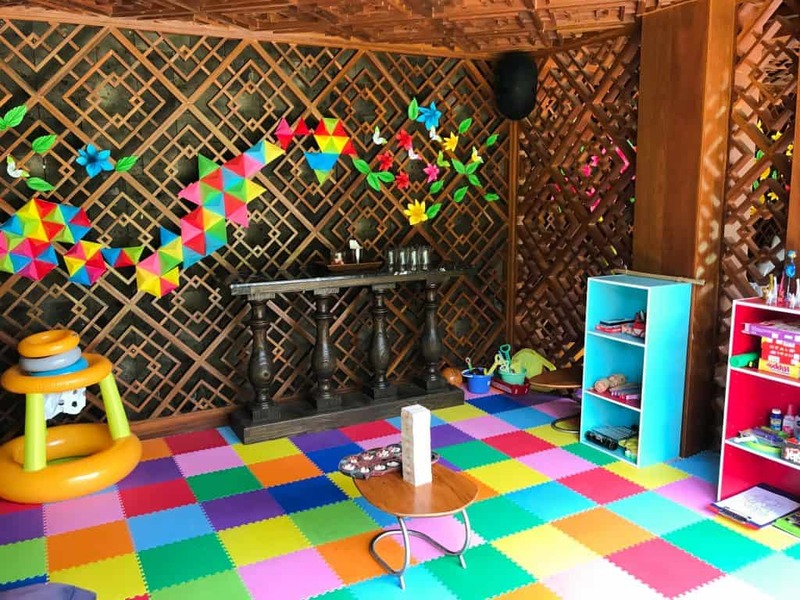 Kids always love little hidden spaces like that! It was really nice inside with lots of toys for different ages so our baby loved it in there. They had everything from board games to rattles. The staff member was really lovely and helpful with the kids, showed them how to play local games, interacted and entertained them. There was four swimming pools on site. Hotel Indigo Bali is a little bit like a semi courtyard facing the ocean. The pool is the central features and is really long, so is absolutely perfect for anyone that enjoys doing laps. It was a beautiful design with steps all along the edge, there were sun beds in the shallow water, ideal for little ones to sit next to mum and dad whilst playing. There was private pool for adults only, and the other two were shallow pools for little ones. We spent hours and hours having lots of fun in the pool. The baby pool was my favourite, it was partly a cave with little sprinklers and waterfalls and our little one loved the sensory experience of it all. There were lots of inflatable toys around for both kids and adults to pay with. Oh and the pool volleyball was fun too! One of the best things about Hotel Indigo Seminyak is the location. It’s literally beachfront and we could just walk out of the pool and roll on to the beach -literally! They have their own pop-up bar in the evening for sunset, drinks and nibbles. However there are lots of places right next door with big colourful bean bags. We had dinner on the beach every night. It was the perfect set up. The kids would play in the sand whilst we were waiting for dinner admiring the sunset with a beer! After we’d eaten it would only take two minutes to get back to our room. We quite often miss lovely sunsets because of witching hour with the kids. They get so tired by 5pm that its not worth going out. The close proximity and the amenities on the beach made it so easy for us to enjoy the early evening. Especially the live music that can be found all along the beachfront! We had a large room on the first floor, quite close to the pool. It was just enough space for our four person family. With a large walk in wardrobe, extra large double bed, and a single for the little one, there was plenty of space. We loved the bathroom with walk in shower that faced onto the balcony. All of the products were super luxurious and felt like spa quality. The eclectic design throughout the room was so pretty. We loved some of the ornaments. Although one word of note, they had a gorgeous gold ceramic wash bowl in the shower. It got knocked down pretty quickly by our two reckless kids. So its worth asking them to move any of those pretty local crafts to higher ground before entering the room. The balcony was the perfect place for us parents to hang out in the evenings. Likewise the smart TV was ideal for quiet time with movies and cartoons at the ready. I can only talk for the breakfast at Hotel Indigo Seminyak. We mostly wanted to go to the beach for dinner and lunch. Not to mention, the menu was a little out of our budget, especially on such an extended trip, our purse strings are a little tighter. Talking of the breakfast, it was pretty spectacular. It felt like a high end market set up. It kind of had the feeling of walking through a beautiful store and filling up with everything from the shelf. they had a juice stall that looked like a vegetable shop and a bread section that was like a bakery. The food was amazing, especially the freshly pressed juices, fruit platter, and the waffles. The design and theme were completely different from anywhere else we’ve been that made the experience more interesting. 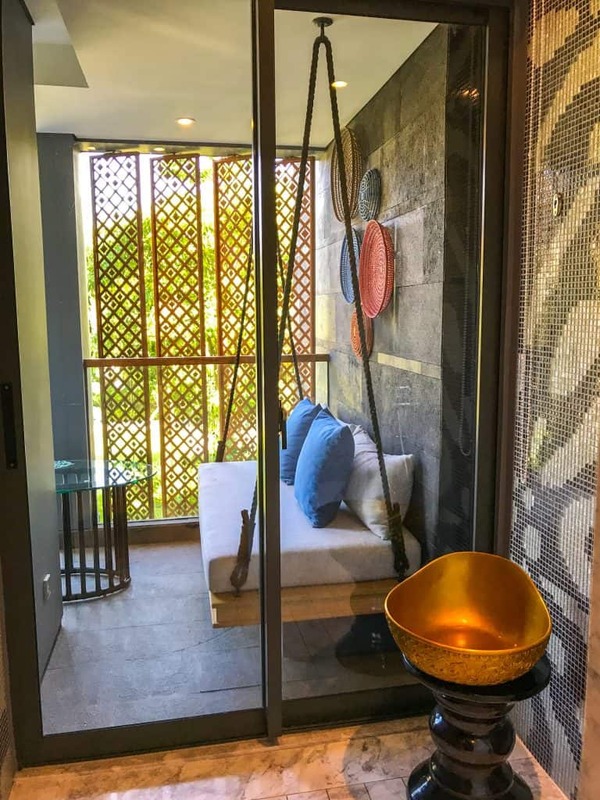 Have you found this review of Hotel Indigo Bali helpful? Leave a comment, we would love to hear from you. If we’ve helped you in some way, we would love if you could help us too. In this digital age there is a demand for immediate information online. Being a patron is a new-age way of giving a small token of appreciation for this information, which takes time to put together, with no financial return. We offer exclusive access to blog posts before they are published as a thank you. We also offer travel advice and consultancy at different payment tiers. You can sign up to our Patron program here. Disclaimer: This post Hotel Indigo Seminyak Bali has affiliate links. Some of our stay was complimentary in return for an honest review. As always all views expressed are entirely my own. This is a great guide! We are staying here in June for 3 nights and I was a little worried it wouldn’t be very kid friendly. Sounds like we will fine. Hi Gabie, did you like your stay as well?